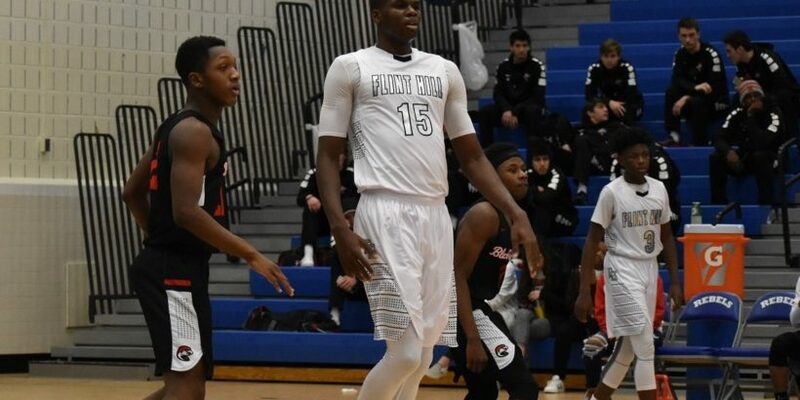 Qudus Wahab, Flint Hill–Pushing seven feet tall, Wahab really took noticeable strides forward this season in leading the Huskies to a regular season MAC title. His offensive game clearly improved as the season wore on. Had a triple-double against Devon Flowers and Potomac School with 23 points, 17 boards and 10 blocks. Averaged over 12 rebounds a game and around five blocks a game. Maybe the most dominant player in NOVA even as a junior, Wahab has Division I offers all over the country. Anthony Harris, Paul VI–Like Wahab, the Panthers guard has a ton of Division I offers. Still a gritty, defensive-oriented guy with great athleticism who can get to the rack, “Ant” probably had his most impressive game in a late-season win over DeMatha. 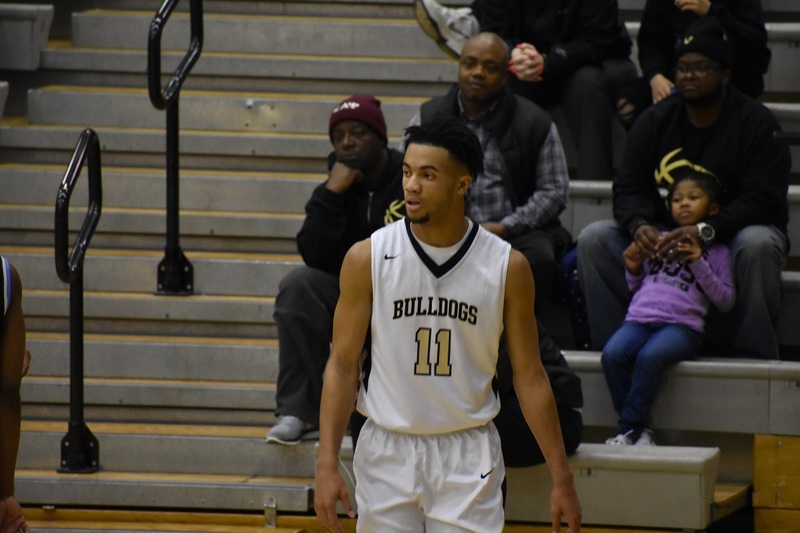 PVI was missing fellow talented guards Jeremy Roach and Brandon Slater in that one, and Harris delivered with 18 points and a game-winning shot. Also poured in 28 in a win against Carroll and averaged around 13 points a game on the year. Daryl Mackey Jr, West Potomac–Okay, he didn’t score 30 points a game this year like we suspected he might. He probably could have if he wanted to, though, and he still averaged almost 25 a game. Scored 40 against North Stafford and 36 against Chantilly in December. Known as a deadly shooter, Mackey is also ridiculously athletic and proficient at getting to the line, an under-appreciated part of his game. As his young teammates improved this year Mackey was also able to concentrate more on defense as well, which made the Wolverines that much better. Some Division I school is going to get an absolute steal in this guy. Quentin James, Lake Braddock–Similar to Mackey in some respects, fellow guard James was right behind him in the NOVA scoring race for most of the year. His stats in Brian Metress’ up-tempo system were absurd. He hit for 42 points in a January win over Fairfax and 37 points in a February win over West Springfield. Yeah, the Bruins get up a lot of shots, but it’s still amazing James can do what he does with defenses keying on him and ball-handling and rebounding always on his mind. Great first step and like Mackey pretty adept at getting to the line with a surprising amount of his points coming in the half-court. 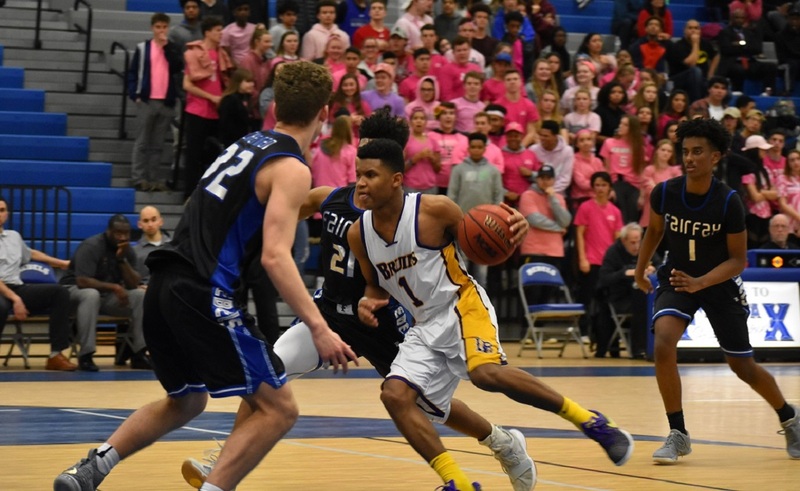 Lake Braddock’s Quentin James averaged around 24 points a game this season. Xavier Johnson, Episcopal–For a second consecutive year guard seemed to get better and better as the year went on instead of wearing down from the Maroon’s grueling schedule. Uses his quickness to constantly create and has been a valuable weapon for Episcopal in a league with a shot clock. Averaged around 15 a game to lead the Maroon in scoring. Handles the point first but also has a nice smooth catch-and-release from the arc when he gets the ball back. A great free throw shooter who knows how to move the ball when attacking the hoop and draw fouls off the dribble. 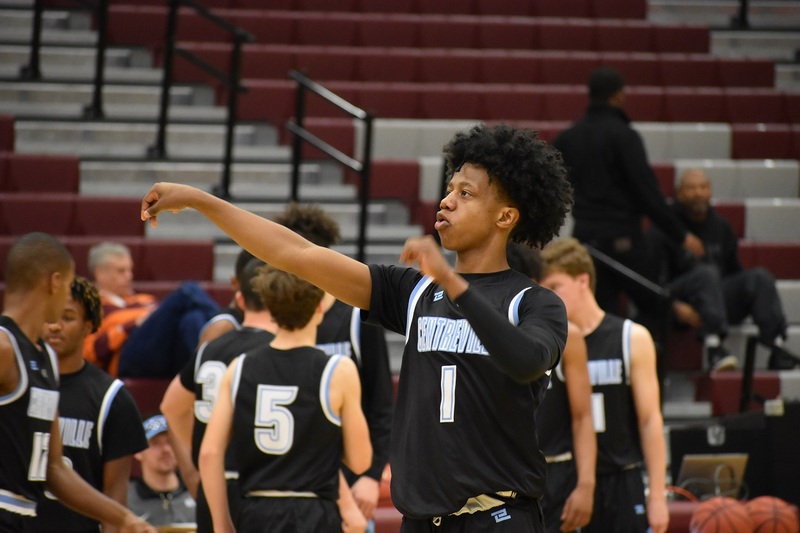 Bryce Douglas, Centreville–In an injury-plagued season for the Wildcats Douglas continued to play some very good basketball. The durable Douglas averaged around 20 points a game and really didn’t seem bothered much at all by increased defensive attention thrown his way. A talented combination guard who found even more ways to score this season, Douglas already had a nice quick move to the basket and a solid long-range jump shot. He was great in the transition game and is also an underrated passer who showcased that part of his game better when the other Wildcats guards were on. Centreville’s Bryce Douglas is a tough guy to stop in the clutch. Evan Buckley, Stone Bridge–The old school guard and purest point on this list, Buckley averaged around 15 a game but took pride in driving and dishing to his teammates on the perimeter. Constantly active and willing to do all the little things necessary to win, Buckley has several Division I offers and should continue to acquire them—we’re betting he ends up at an Ivy or Patriot League school but who knows. With Diluigi and Kling gone, he’ll need to showcase his scoring skills more next year. That shouldn’t at all be a problem. Cam Savage, South Lakes–The Liberty District Player of the Year has come a long way since he burst on the scene as a starting freshman guard two years ago. This year he clearly stepped up as a leader and the unquestioned go-to guy on the roster. Improved his quick release and three-point shooting, averaging one or two per game to go along with his ability to dynamically attack the hole. Got stronger physically, making him even more of a factor on defense and grabbing boards. Plays the point and averaged around 15 a game but next year like Buckley will have to do even more scoring-wise. 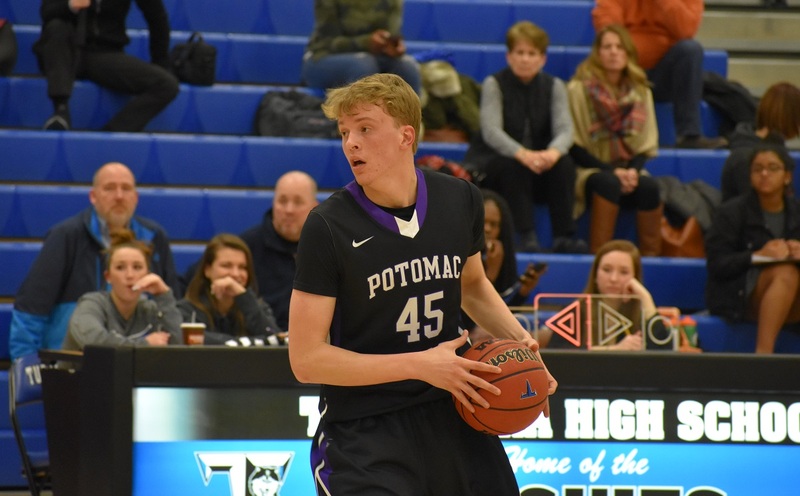 Ian Anderson, Potomac Falls–Athletic 6’6″ forward continued his steady play, punctuated by streaks of absolute dominance. Wrecked Stone Bridge inside for 28 points in January and went for 37 points in the insane four overtime playoff loss to Freedom in the Potomac District tournament. In the Freedom game Anderson hit most of his free throws–if he continues to improve in that area his stats are going to be off the charts next year. A solid rebounder and shot-blocker and a safe bet for a double-double night in and night out. Potomac Falls’ Ian Anderson has the capability to dominate games. Daniel Deaver, Marshall–You could make a strong case for Deaver for MVP of the region, and we’re including seniors when we say that. Perhaps nobody meant more to their team this year than the 6’6″ Deaver did to the Statesmen in their record-breaking season, even with Marshall’s outstanding senior class. The offense flowed through Deaver, often through the high post, and Deaver responded with great passing ability and scoring inside and out. Often led his team in assists as well as rebounding. Ayan Teel, O’Connell–Dynamic Riverdale Baptist transfer proved a fantastic fit next to Xavier Johnson in the Knights backcourt. Seems like everyone could shoot at O’Connell this year and Teel was no exception, averaging north of two made threes a game. While a good shooter, he can also finish with either hand and get to the rack against the big boys. Averaged around 12 points a game and showed what he’s capable of on the offensive end when he poured in 25 against Ireton and 23 against Carroll. Fellow junior Charlie Weber deserves a mention here–he was deserving of making one of these teams as well. 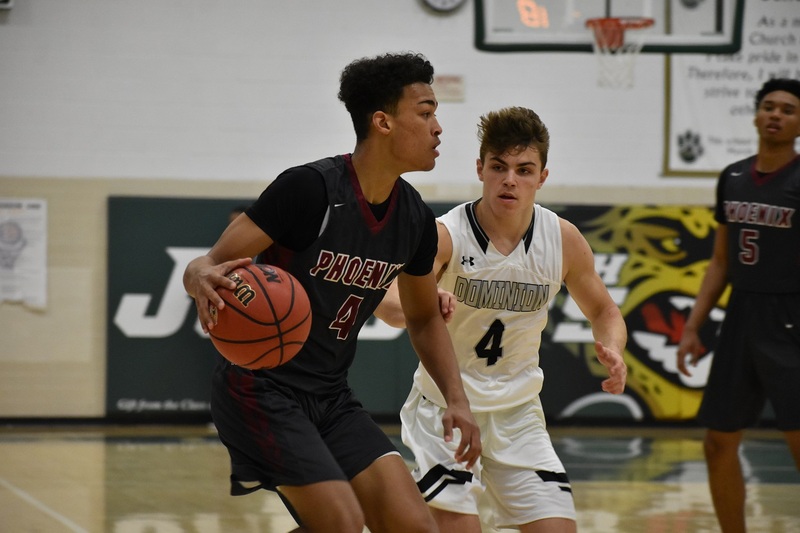 Alex Fitch, Rock Ridge–Pure shooter with great size for a Division I shooting guard, Fitch did not disappoint in his first season at the Ridge. He averaged 20 a game and absolutely went off at times, such as when he poured in 39 against Briar Woods. A shooter first, length nevertheless causes defenders problems and allows him to get to the line even when he stays on the perimeter. Can in fact be a problem himself defensively with his length and athleticism, blocking shots from the weak side and getting in passing lanes. Rock Ridge’s Alex Fitch poured in points this year for the Phoenix. Jordan Hairston, Westfield–NOVA is flush with scoring point guards, but Hairston is a good as any of them and could easily be first team here. Averaged 18 points a game and was excellent from long range, hitting five on at least three occasions. Didn’t always need to score and often made a significant impact on the defensive end, hampering and constantly annoying the other teams’ guards. Good hands and court vision. Very hard to stop in the open court and a competitive nature. Marshall Reed, Westfield–Normally it is extremely difficult to have teammates make one of these teams (see Weber and SSSA’s Charles Thompson) but we felt so strongly about Reed’s impact this year that we included him with Hairston. Long guard/forward is a smart player who made a tremendous impact in every Westfield game we saw. Hits the boards well and has a great understanding of when to drive to get the surer thing and when to shoot the three. Saved his best two games for the regional tournament, when he hit five threes against Stonewall and went for 24 points and 11 boards against South Lakes, both wins. The Bulldogs’ Marshall Reed stepped his game up come playoff time. Christian DePollar, St. Stephen’s & St. Agnes–DePollar still manages to stand out on a talented Saints roster that features lots of talent and balanced production. A lanky small forward with Division I length, DePollar is a crafty rebounder, passer and scorer who seems to get the job done almost effortlessly. Don’t be fooled by that though–DePollar works hard and has improved his shooting and other parts of his game. Knows when to defer and when to try and take over.